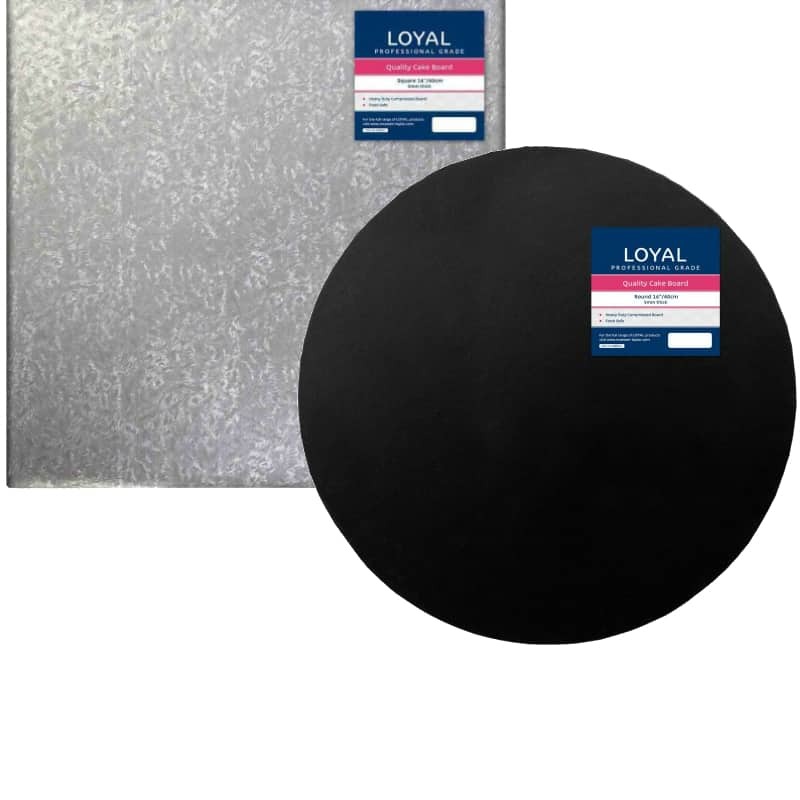 Loyal cake boards are known for quality and they are now available in Black, Silver & White! Don’t be fooled by the fact these boards are cardboard. They are as strong as standard masonite drum boards.